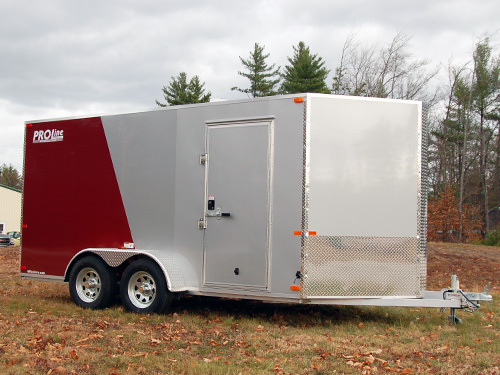 One trailer to rule them all. 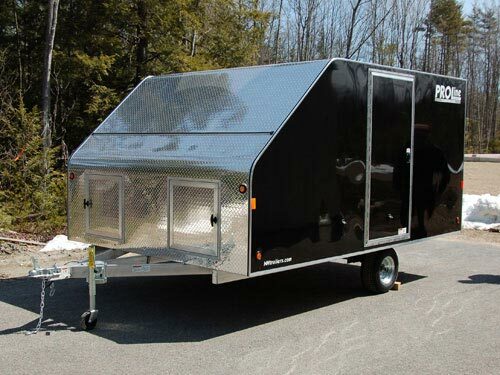 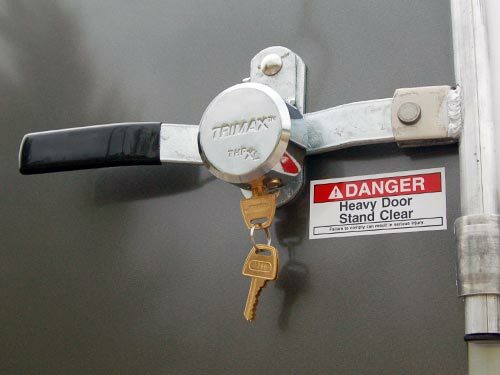 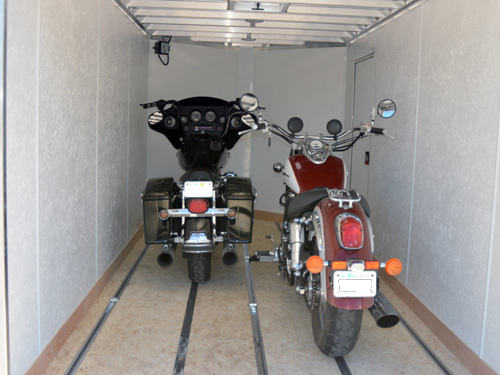 A versatile motorcycle trailer for the warm months and a drive on – drive off snowmobile trailer for winter. 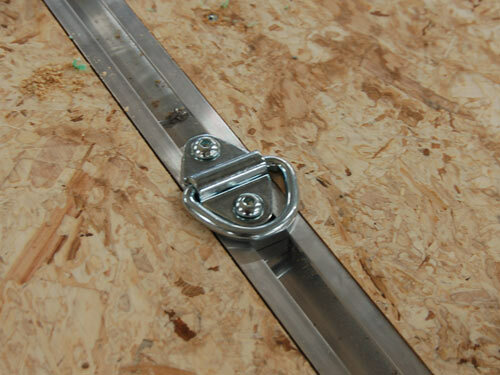 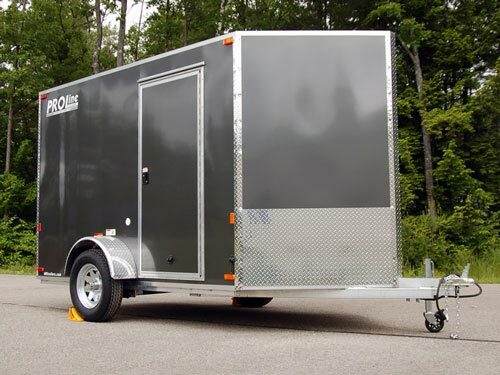 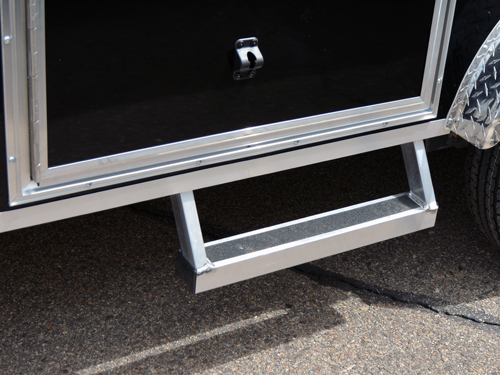 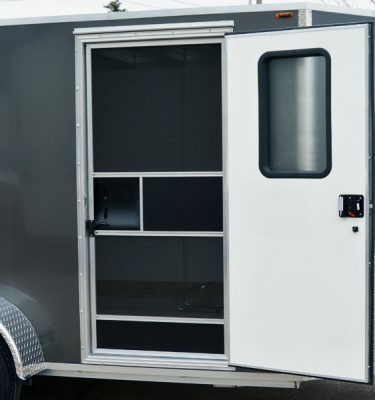 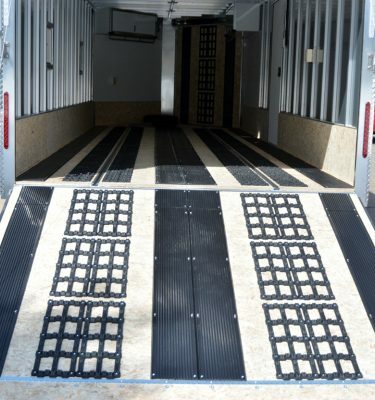 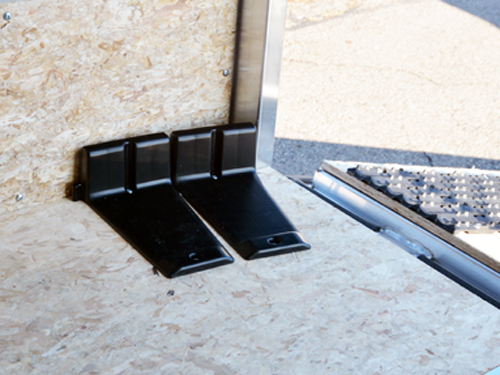 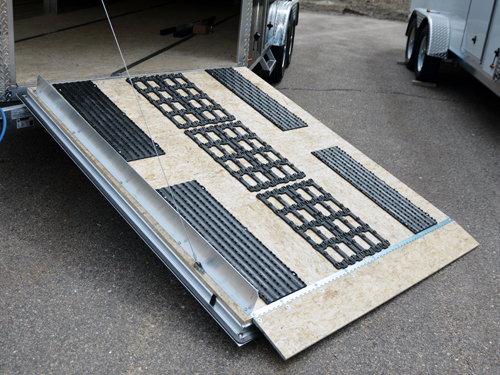 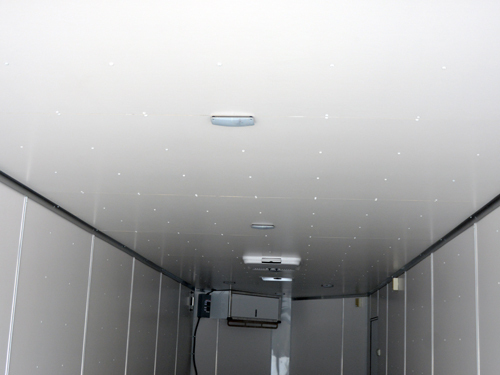 The 5 rows of fully adjustable tie-down rails in the floor accommodate most anything you want to tie down and combined with the front ramp door makes it very capable as a snowmobile trailer! 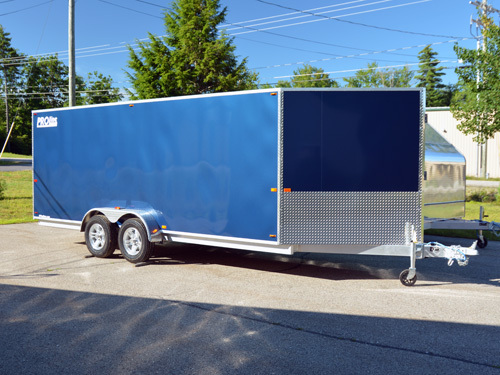 Our 7.5′ Wide Series is a full 90″ wide inside, plenty for two big touring bikes to fit side by side and leaves some extra room when loading ATVs or snowmobiles as well. 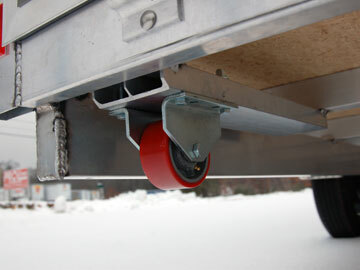 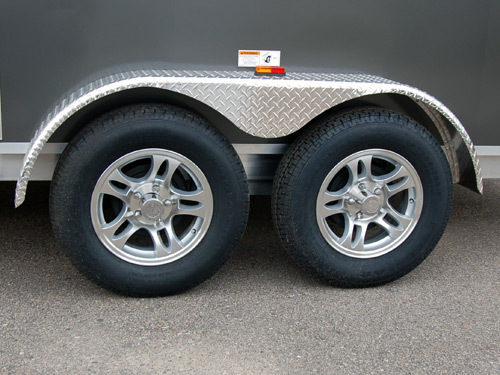 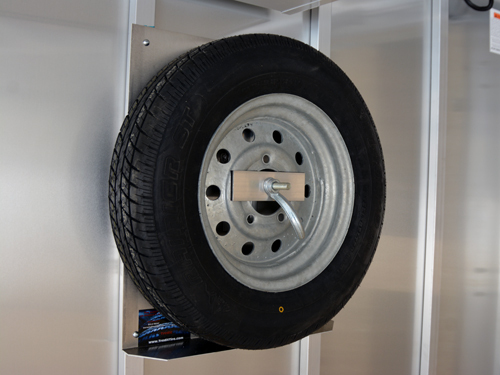 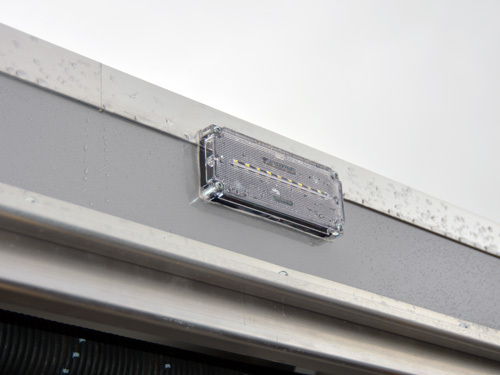 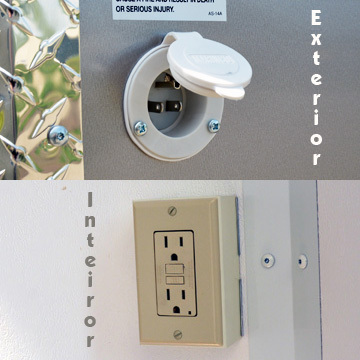 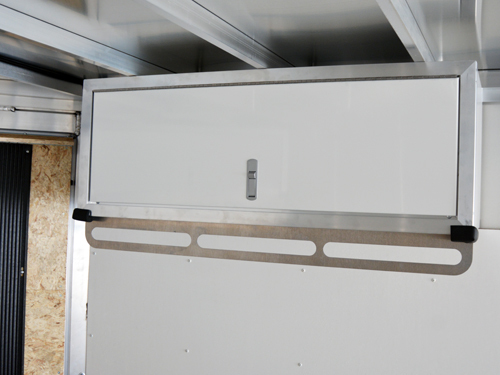 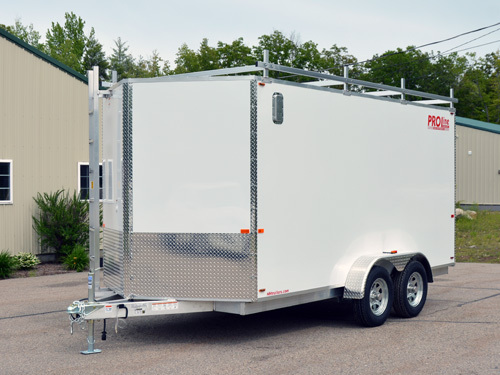 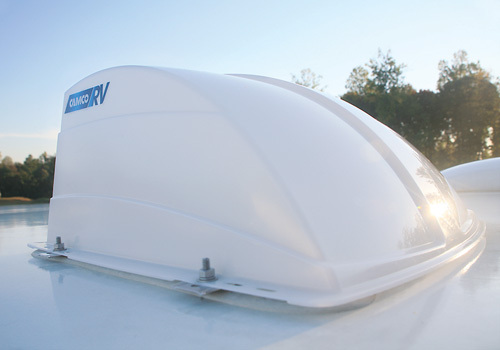 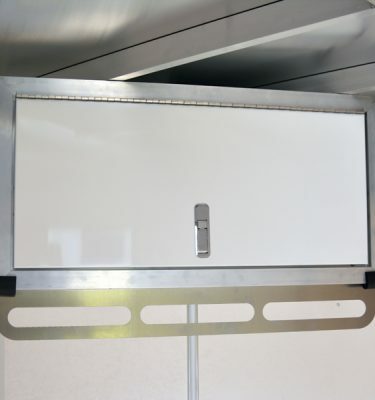 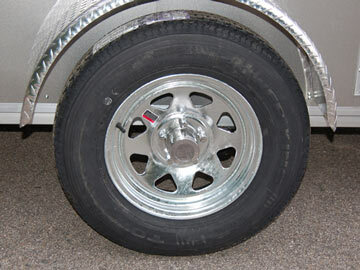 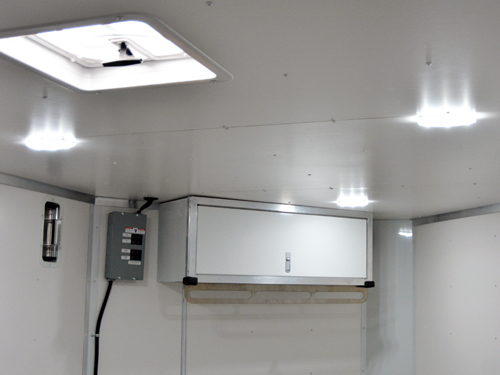 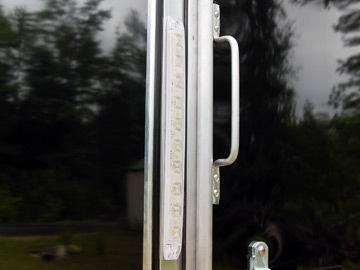 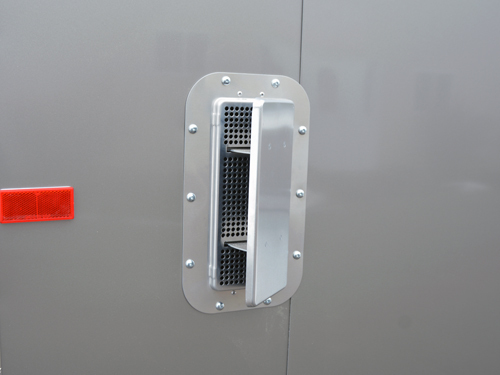 Also, don’t forget all the standard features that you’ve come to expect out of a PROLine trailer. 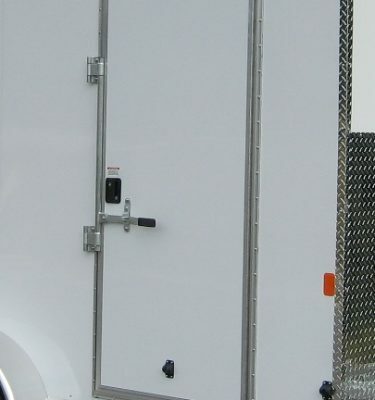 Front and rear ramp doors with spring-assists, side door, popup roof vent, aluminum stoneguard on the V-nose, LED trailer lights, multiple interior lights with switch, white vinyl finished interior all standard. 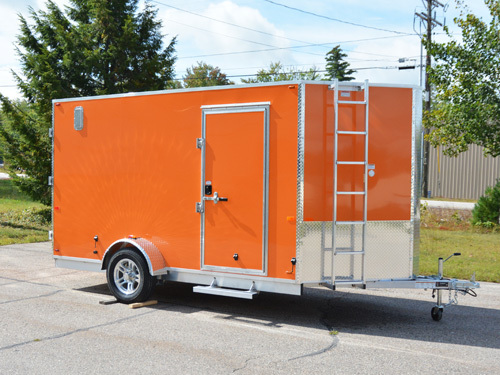 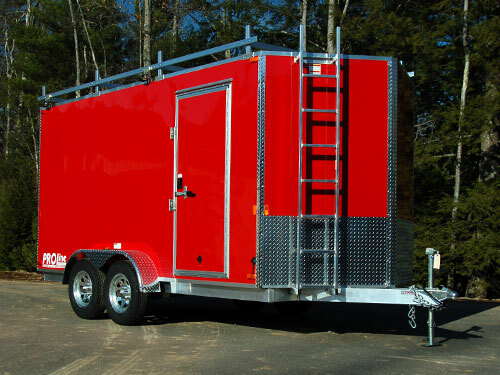 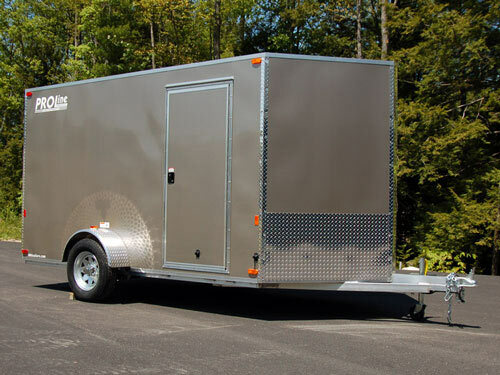 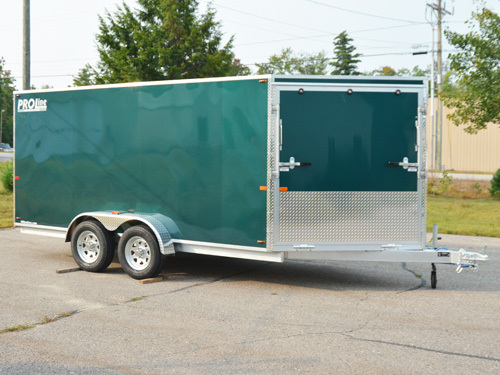 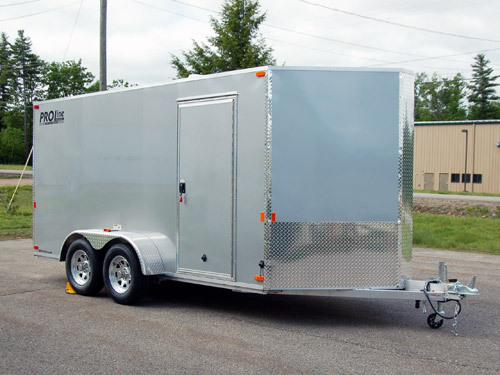 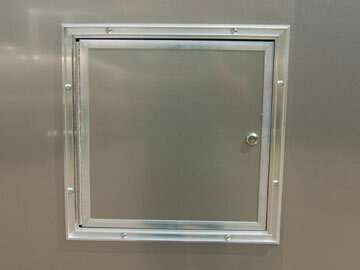 Let us custom build you a trailer today! 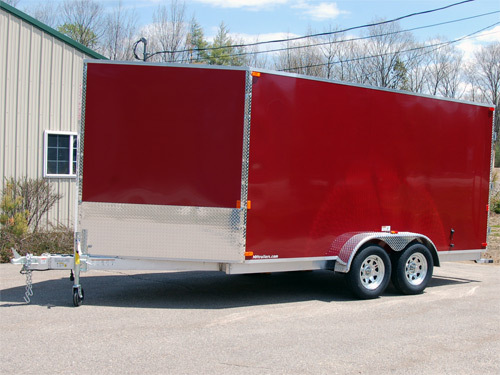 Overall Length 20'9" 22'9" 24'9" 26'9"